This eBook is delivered as a downloadable PDF and can be viewed on any device capable of viewing PDFs. After purchasing, you will find the eBook download in My Account > Downloads. For those who fly, a thorough knowledge of the Principles of Flight is essential if they are fully to appreciate the flight characteristics of their aircraft, and become safe and proficient pilots. Complementary to the study of the Principles of Flight, in terms of acquiring an understanding of the way an aeroplane flies, is the study of Aeroplane Performance. This book aims to teach the two subjects in a way which is relevant to the practising pilot while, at the same time, giving appropriate emphasis to the pure theory of the two subjects demanded by the PPL theoretical knowledge examinations. 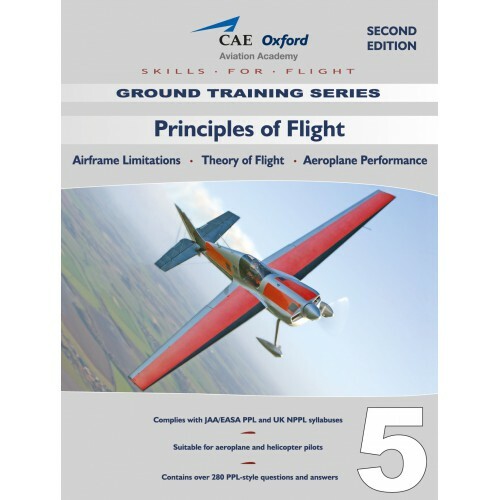 The depth and scope of the treatment of both subjects are such that this book should also provide a sound introduction to Principles of Flight and Aeroplane Performance for those students who are preparing for examinations at professional pilot level.